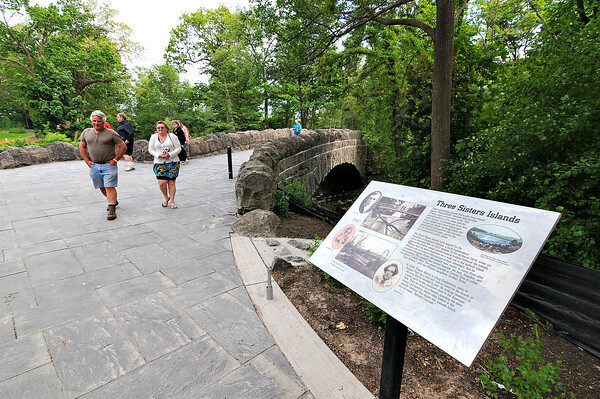 James Neiss/staff photographerNiagara Falls, NY - Carl and Luann Perkins of Warwick, Rhode Island, enjoyed a visit to the newly renovated Three Sisters Islands, that were opened to the public on Wednesday. Some of the improvements include landscaping, bridge decking & rails and walkway improvements. The couple were celebrating their 25th wedding anniversary with a visit to Niagara Falls.